Don't call it a comeback - Dubey & Schaldenbrand has been around for quite some time. Here in the US we haven't seen nearly as much of them as we'd like - not unlike an old school friend who you only see once or twice a year. But the new head of Dubey & Schaldenbrand is working hard to change all of that! 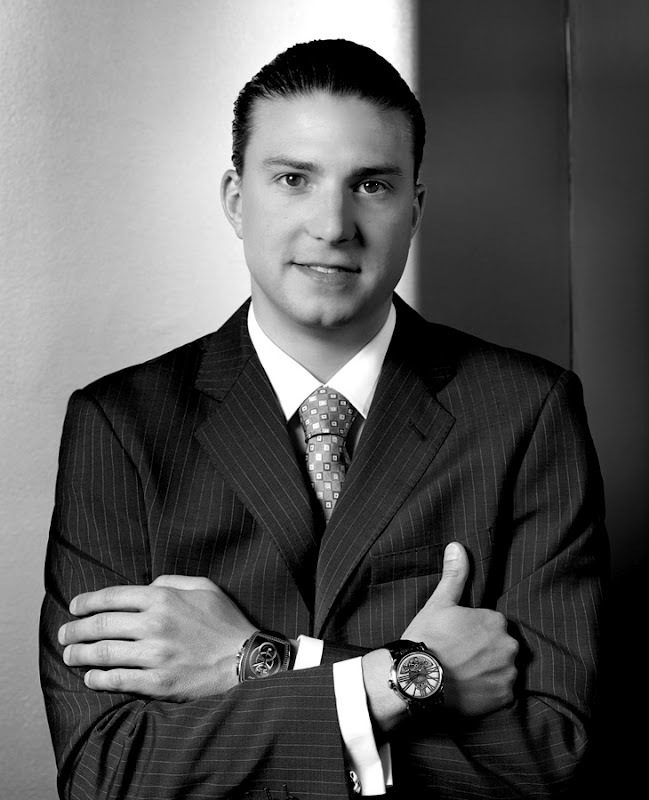 Jonatan Gil - I have been collecting watches for a long time. Most of them came from my father's customers. The first luxury watch I got was a Breitling, I made a bet with my sponsor when I was competing in a jumping show. I was about 13 years old. JG - I was always fascinated to see my father as an entrepreneur. My goal was to have or create a company. Since the time I understood what life was about, I couldn't imagine myself doing anything else than being in the watch industry. I also knew that working in a "big group" wouldn't interest me. JG - I studied at schools in La Chaux-de-Fonds (9 years), then I went to the "Technical School" in Le Locle (4 years) which is well known for technical academic training. I learned English in the UK in Cheltenham (where I spent nearly 2 years). JH - My understanding is that your family has been involved in the watch industry as a supplier/partner for a number of years? How has this helped you in your experience with Dubey & Schaldenbrand? JG - Because I was very interested in my father's business, I used to spend a lot of time with him at the factory. Since I was 14 I met all the big players in the watch industry and these people have the same customers/distributor as Dubey & Schaldenbrand. My father also works with all the best suppliers and when I took over Dubey & Schaldenbrand I noticed that the same suppliers were actually working for the brand too. Networking is one of the best and most important platforms nowadays. JH - What first brought you to Dubey & Schaldenbrand? What was your first position there? JG - The second watch I got (being more educated about watches) when I was around 15, was a Dubey & Schaldenbrand. I found it exclusive and like nothing else I had seen. As I wanted to work in a "small" brand, when I crossed paths with Mrs. Robert's in Qatar, without hesitation I wanted to work for her, and I started as her assistant. JH - What is it that makes Dubey & Schaldenbrand special? JG - What is great about Dubey & Schaldenbrand is that it's a conservative brand, since 1946 (watches can last many years), but it lives on in its own time. We produce timepieces in small quantities and are producing almost all the components in house. We are on top of the technology, but still using all the codes of craftsmanship. Very atypical and unique. JG - Honestly I didn't think that I could get the opportunity to have a watch brand, for me it's an achievement even if the work is "starting" now, realigning the distribution worldwide, and bringing the new face of Dubey & Schaldenbrand to the forefront. JH - You worked fairly closely with CINETTE ROBERT? What was she like? JG - That’s right. Mrs. Robert has an extensive background in the watch industry and she knows stories about watch making that no one else knows, and was even part of some of them. The experiences she had gave me a thorough education not only about watches, but also about history. I learned very quickly and very well with her, maybe due in part to the fact that at the same age as I am, she took on a lot of responsibility, and she knows that by working hard we can achieve anything. She is a forward thinker, always wondering how to improve the brand, the product, the quality, etc., and this is also my philosophy. 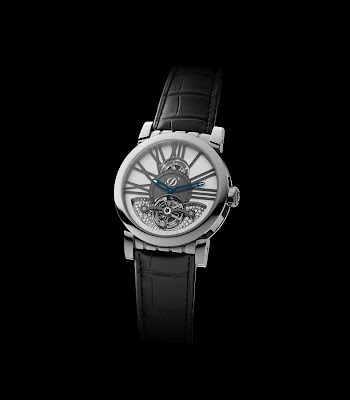 JG - The whole watch industry, consumers and connoisseurs have seen the return of Dubey & Schaldenbrand to the market, and they are confident with the products they have seen so far. Now the big challenge is to connect the distribution with the right partners (already the case in many countries), and have customers feel confident about investing in a Dubey & Schaldenbrand timepiece. JH - What is the strongest market for Dubey & Schaldenbrand right now? JG - Right now it is Middle East, they are very familiar with the brand and we are making several specific timepieces for their customers. JH - I know that it might be hard to choose, but what is your favorite creation so far? JG - Of course all the creations have a story behind them and are coming from an idea of mine, but my favorite, without any hesitation, is the GRAND DOME DT FULL BLACK DIAMOND. Actually my first Dubey was the predecessor of this watch, the Gran' Chrono Astro full diamonds. JH - What do you see as the next big market for Dubey & Schaldenbrand? JG - The US! Historically US customers considered the brand in their top 5, and they are waiting for its return and a chance to purchase one of the new timepieces. JG - If we omit reading about watches and getting updates about what is going on in that small world, I'm also a passionate about cars, so I'm driving a lot and spending time around Switzerland. Spending time with my family because I don't see them very often as I'm travelling, and I'm a big fan of cinema, theater and watching sports. 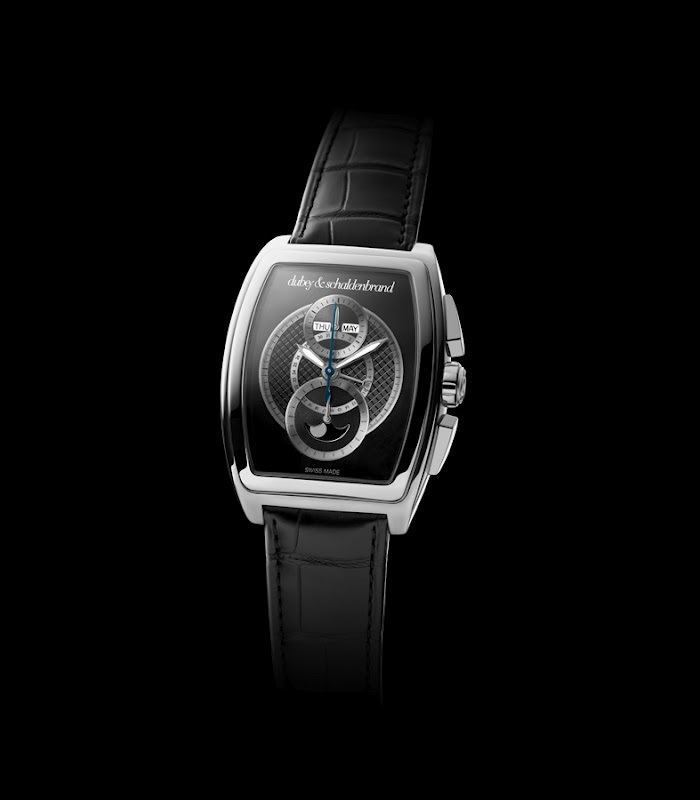 JG - I would definitely be in the watch industry and trying to find the solution to take over Dubey & Schaldenbrand! JH - What advice do you have for future watch maker/entrepreneurs? JG - I think for a watch maker the most important thing is to believe in what they are doing, but taking into consideration that we live at a certain period. The world is getting crazy so don't forget real values and where you come from. A company is nothing without all these things collaborating. BREGUET - there's an app for that!